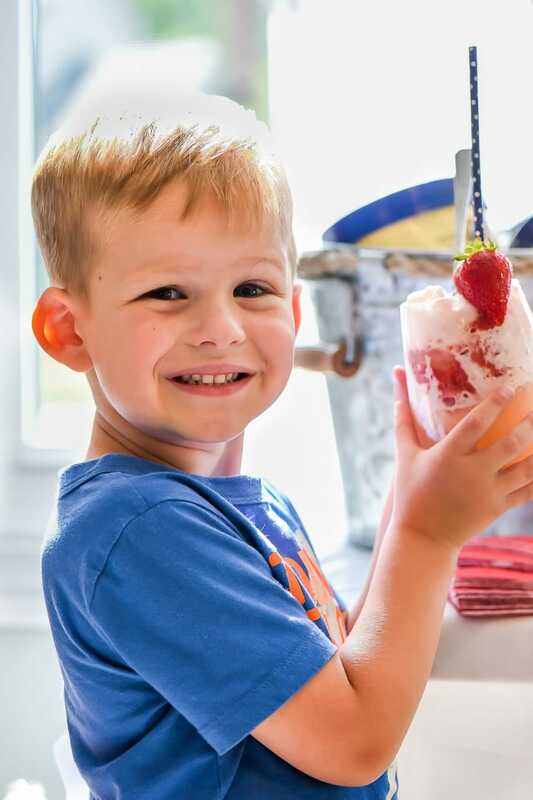 I developed these ice cream float recipes in partnership with Tillamook. As always, all opinions are my own. Looking for a fun way to cool off with friends and family this summer? 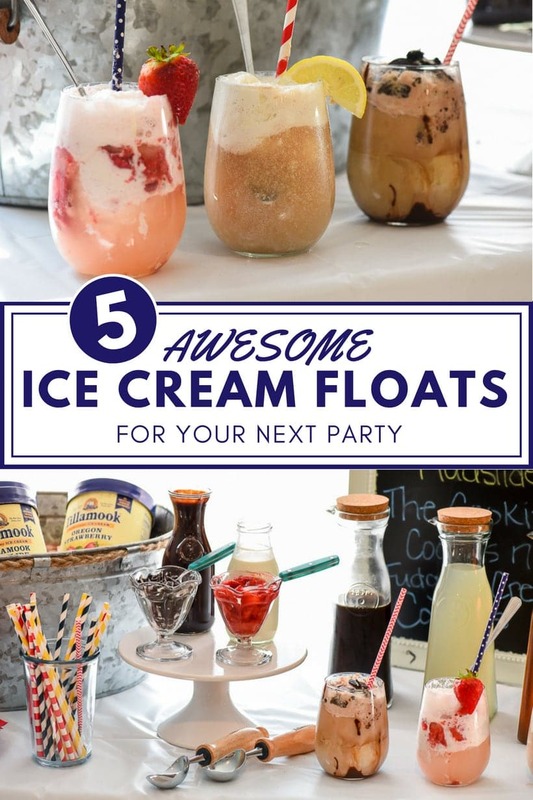 Try these unique Ice Cream Float Ideas for a party adults and kids will both love! We had the joy of spending this last weekend hanging out with my husband’s sister and brother-in-law and their two boys, who were visiting us from Texas. We always love getting to share a slice of our Columbus life with them, and they’re always grateful to get a brief reprieve from the scorching Texas summers. It’s so much fun seeing P interact with his older boy cousins. There’s plenty of running, rowdiness, tickling, and–let’s be honest–toot jokes to go around. Oh, the joy of boys, amiright? Because we live so far apart, it’s rare our family is all together to celebrate birthdays. This particular visit didn’t fall over any special occasions, but I decided we should party anyway! I mean, it is National Ice Cream Month after all. It’d be a shame to let such a perfect holiday go by without a little celebration. In case these Strawberry Rhubarb Floats, Creamsicle Floats, and Caramel Apple Cider Floats didn’t clue you in, I really love to experiment with ice cream float flavors! There’s no end to the number of tasty treats you can make with just a couple scoops of ice cream and a bubbly beverage. Plus, what’s more satisfying on a hot summer day than sipping on a creamy, frosty ice cream float? 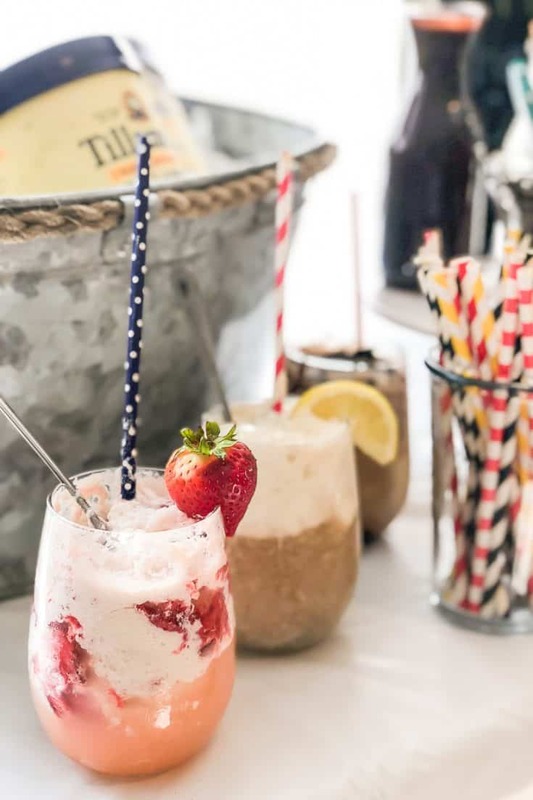 For our July float party, I wanted to try mixing things up with some non-traditional but very summery beverages–lemonade, sweet tea, and iced coffee. You can make any of these yourself pretty easily, or pick up your favorite brand of natural beverage at the store. Of course, the best floats start with the best ice cream, and for that, I turned to Tillamook. 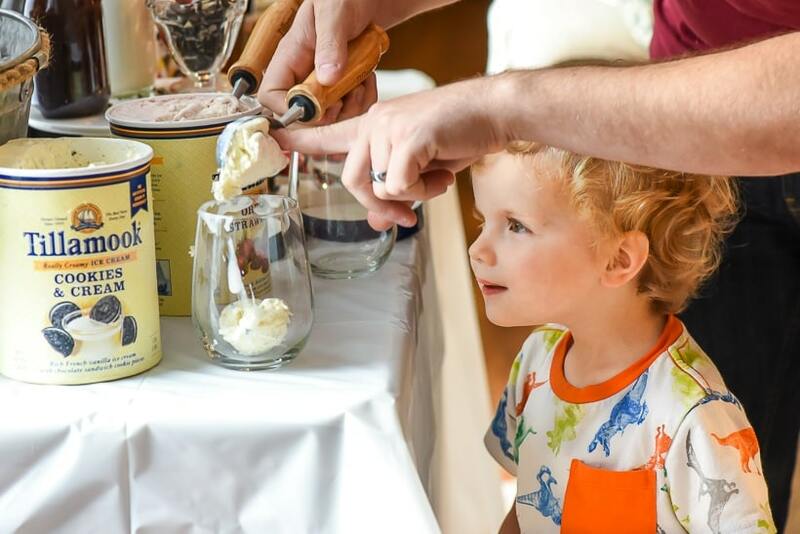 You might already know Tillamook as the #1 natural cheese brand in the west (fun fact: their aged sharp cheddar is the key to the creamiest mac and cheese ever), but they’re also a producer of premium ice creams. 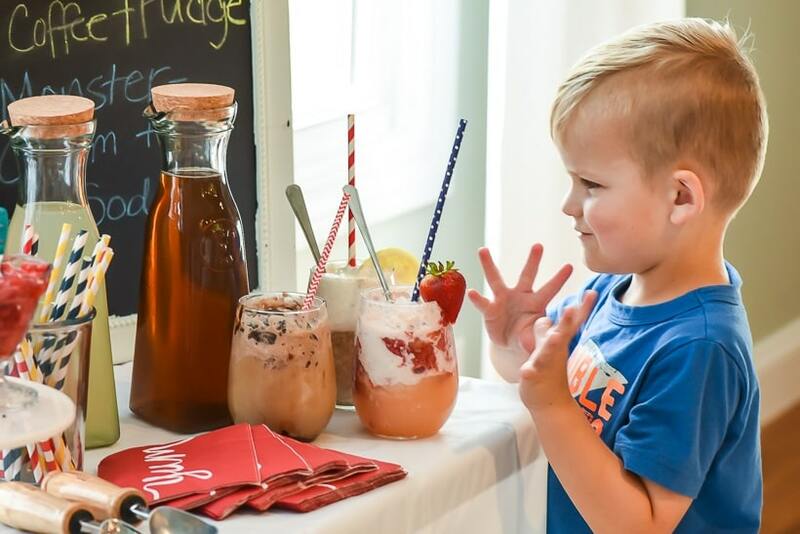 Their flavors include all of the classics: Old Fashioned Vanilla, Strawberry, Chocolate, and Cookies and Cream, but they also have an impressive lineup of more complex flavors like Mudslide and Caramel Toffee Crunch. I knew I needed an awesome vanilla to anchor a few of my floats, and the Vanilla Bean was definitely my pick! If you think vanilla is boring, this ice cream will prove you wrong. Premium ingredients an ice cream that is rich, flavorful, and ultra creamy. I also grabbed strawberry, because it’s the perfect summer flavor (DON’T FIGHT ME ON THIS), cookies and cream (for the kiddos…and for me, obviously), and the mudslide flavor (for all my serious chocolate lovers). For mix ins, I made a simple fudge sauce (based on this recipe), smashed fresh strawberries, and crumbled chocolate sandwich cookies. I set all the ingredients out (be sure to get ice to keep the ice cream cold!) 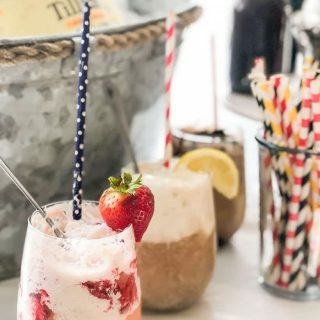 with a few paper straws and long spoons, then let everyone go to town creating their own ideal float combo! I shared a few of my favorite ideas on a chalkboard so guests had a springboard to get started, but otherwise, it’s fun to let everyone experiment. We did, however, steer the kiddos away from the coffee, because YIKES. 3 year old boys act like they’ve had six shots of espresso every single day. My personal favorite was The Arnold Palmer (pictured in the center below). The combination of tea, lemonade, and vanilla ice cream is so refreshing and summery! My sister-in-law and the kiddos both enjoyed The Strawberry Lemonade (Tillamook’s strawberry flavor is exceptional), but if you’re looking for an afternoon pick me up, you can’t beat The Mocha. 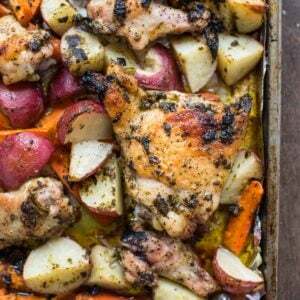 It’s even better than your favorite coffee shop beverage! Stick your glasses in the freezer for 30 minutes before serving. (I totally forgot to do this, but it’s always nice to have a frosty glass to keep everything extra chilled). Add syrups or fruit fillings at the bottom AND top of the glass so they’re evenly distributed. Add a splash of cream to any chocolate, cookie, or coffee flavored floats. I recommend whisking the cream with the chocolate syrup and soda water at the bottom of your glass until it’s nice and frothy, then adding your ice cream and beverage of choice (coffee or chocolate milk are both great options). 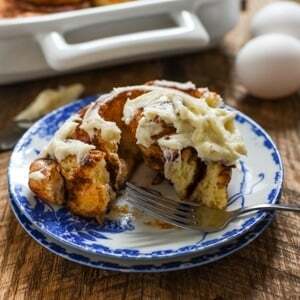 If needed, add an extra splash of cream on top to taste. 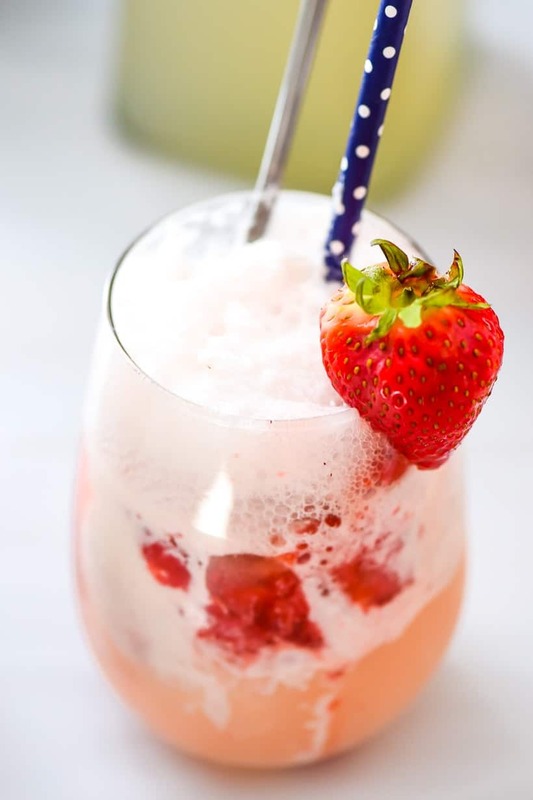 After adding your ice cream to the glass, top it off with additional fruit syrups, chocolate, and a splash of either the sparkling lemonade or soda water for a nice frothy top. I’ve included my recipes for the coffee concentrate, strawberries, and chocolate fudge below, but feel free to experiment with your own favorite dessert sauces or fruit syrups! My homemade salted caramel sauce could be another great addition. Tillamook Ice Cream is now available in grocery stores throughout the Columbus area. Visit tillamook.com/where-to-buy to find a location near you! Just a few summery beverages and simple mix ins make all kinds of frosty, creamy delicious floats everyone will enjoy! To make the iced coffee, combine the sugar and water in a small pan and bring to a boil, stirring until well combined. Turn off the heat and allow to cool completely. Add the simple syrup to the chilled coffee to taste. I prefer about 3 Tablespoons for every cup of coffee which will use almost all of the simple syrup. In a bowl, combine the strawberries with the 2 Tablespoons of sugar and mash with a pastry blender or potato masher. To serve, combine your favorite beverages and mix ins with 2-3 cups ice cream. Here are a few favorites. For The Arnold Palmer, combine two scoops of vanilla bean ice cream with equal parts sparkling lemonade and sweet tea. For The Strawberry Lemonade, combine two scoops of strawberry ice cream with 3 Tablespoons smashed strawberries and sparkling lemonade. For The Cookies and Cream, whisk together 3 Tablespoons cream with 3 Tablespoons of fudge sauce and a splash of club soda at the bottom of the glass. Top with two scoops of cookies and cream ice cream, crumbled cookies, and additional cream (or milk) and club soda. For The Mocha, whisk together 2 Tablespoons cream and 3 Tablespoons of fudge at the bottom of the glass. Top with two scoops of mudslide ice cream, cookies, and iced coffee. Add additional fudge sauce and a splash of club soda to to the top, if desired. For the Affogato, combine two scoops vanilla ice cream with the iced coffee. Top with fudge sauce and soda if desired. I have got to get my hands on this ice cream! I love the idea of the floats. My kids would go crazy for these. 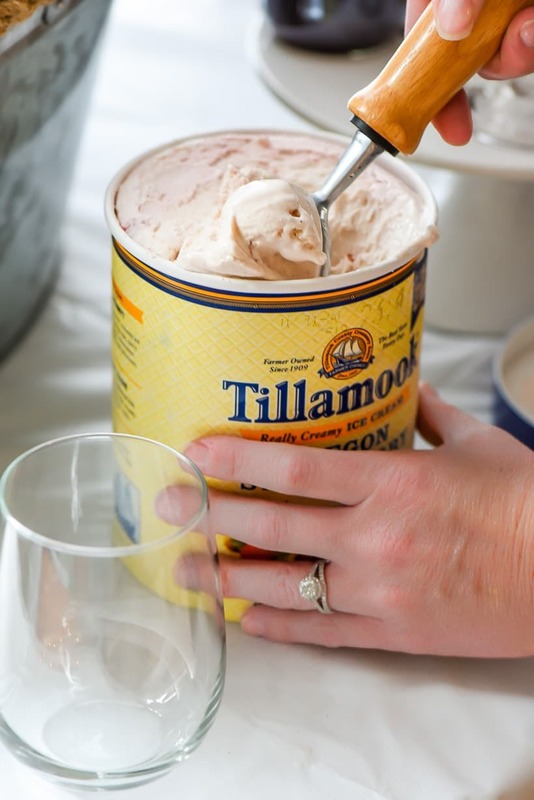 I love ice cream floats – and the unique flavor combos with the Tillamook ice cream are so fun! What a great idea for a party!